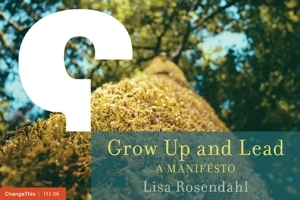 Lisa Rosendahl — Go to Your Meetings! You have a meeting on your calendar. You wouldn't be invited if your input wasn't important, right? I can hear the comments now but just go with me on this one. Instead of looking at a meeting as an interference, a waste of time, or time taken away from "getting the job done," look at a meeting as your job. Look at your next meeting as an opportunity to connect, learn, influence, or set direction and that next meeting may just be the very best use of your time. So, in conclusion, take your calcium, be nice to your friends and GO TO YOUR MEETINGS (Lisa)!